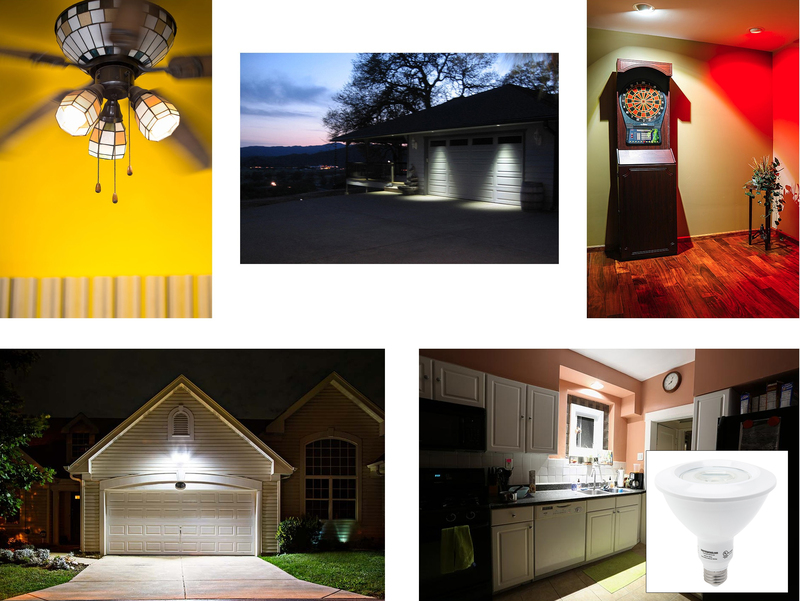 Understanding common household light bulb shapes, sizes, and styles is important whether you’re converting outdated incandescent fixtures into energy-efficient ones or using LED bulbs for new-construction applications. Every light bulb has identifying characteristics that are represented by a letter or series of letters and a number; these are known as light bulb codes. The letter or letters in a bulb code indicate either shape or special features such as reflector type. Numbers in a bulb code indicate size in millimeters or eighths of an inch. These codes will tell you if a bulb will fit in your fixture and if it’s the right shape. For every light fixture or application, there’s going to be a specific bulb or light bulb shape that will fit best and provide the right type of light. 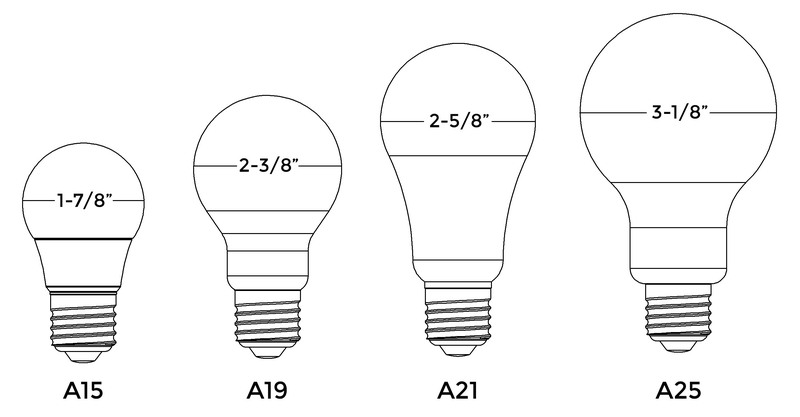 If you understand bulb codes, it’s easy to look at a light fixture and know right away what kind of bulb you’ll need. Let’s talk about light bulb groups, their bulb codes, and what applications those bulbs are typically used for. 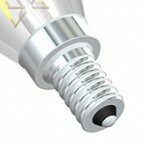 Standard/arbitrary (A) bulbs are the most widely used and thought of when it comes to household lighting. 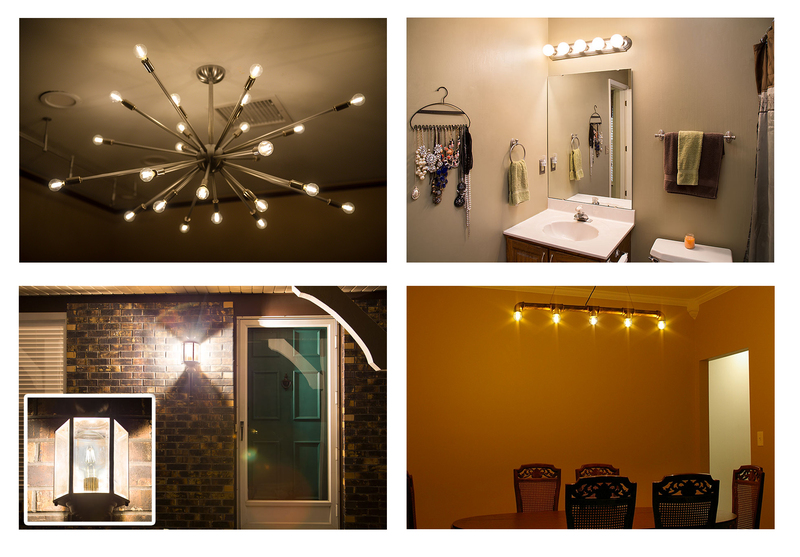 These bulbs work well for a variety of applications, such as ceiling lights, lamps, vanity lights, kitchen lights, closet lights, porch light fixtures, and so many more. Numbers in each code refer to the bulb’s diameter in one-eighths of an inch. Globe (G) bulbs have a full, round shape and are available in various sizes. 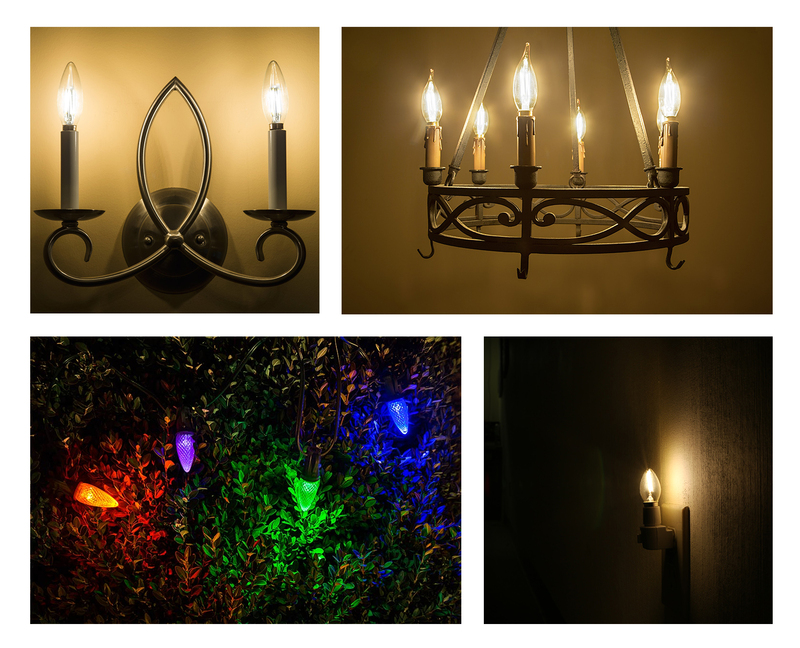 They can be used for many applications throughout the home, such as foyer lights, kitchen lights, chandeliers, and ornamental fixtures. 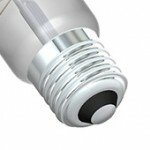 The most common type is the large G30 bulb, which is used in bathroom and makeup vanities. Depending on the bulb, numbers in each code can refer to the bulb’s diameter in one-eighths of an inch or in millimeters. All of the bulbs in these groups resemble the shape of a candle flame and are often referred to as candle bulbs. 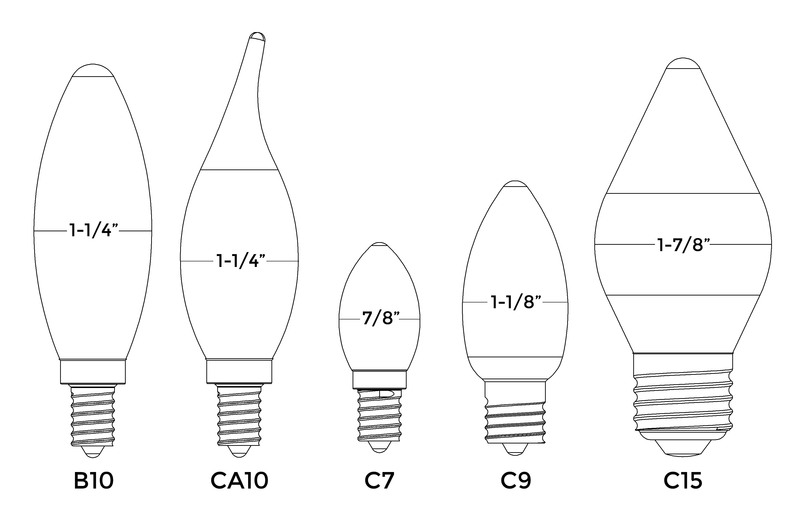 Conical (C) bulbs are shaped like a cone. Conical angular (CA) bulbs are shaped like a cone but have a bent tip. 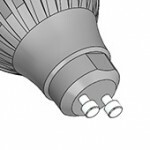 Blunt-tip (B) bulbs are very similar to C-type bulbs but have more of a torpedo or bullet shape. These bulbs can be used in chandeliers, wall sconces, pendant lights, night lights, decorative light strands, holiday light strands, and other decorative home lighting applications. BR stands for bulged reflector. Traditionally, the inside surface of an incandescent BR bulb is covered in reflector material that is used to gather and cast a wide beam of light away from the bulb. 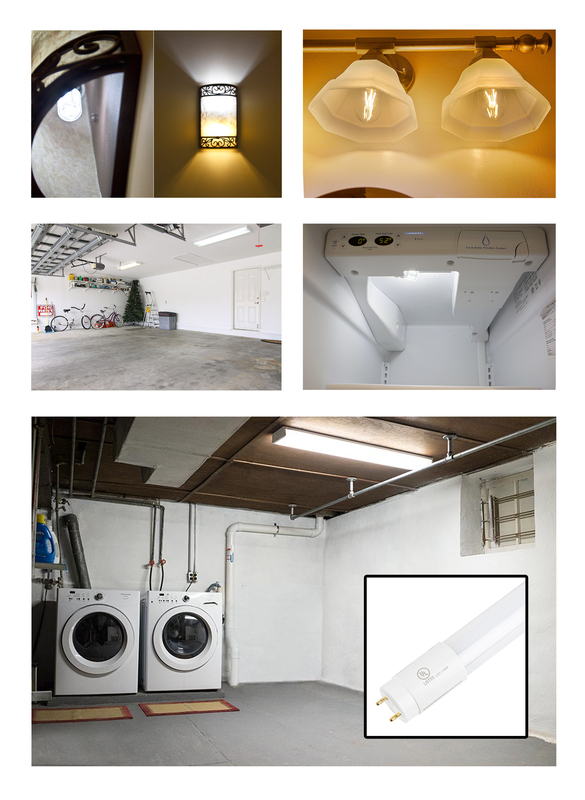 LED BR bulbs don’t require the reflector material. These bulbs can have a frosted, clear, or patterned dome-shaped lens that diffuses light and provides a gradual fade into nonilluminated areas. BR bulbs also produce less shadows when compared to PAR bulbs. They’re a bit longer than PAR bulbs and tend to protrude from light housings but are used in similar applications, such as track lights, recessed lights, display lights, or can lights. 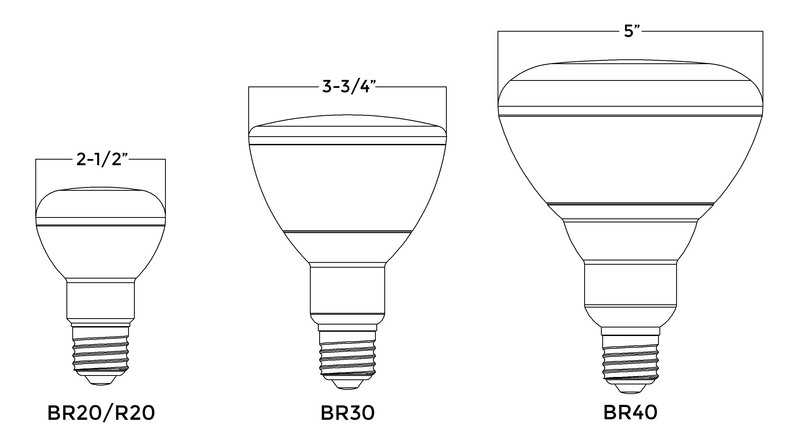 BR20 bulbs are often referred to as R20 but have the same characteristics of other BR bulb types. The R stands for reflector. 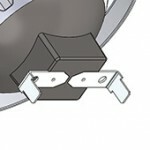 PAR stands for parabolic aluminized reflector. In traditional incandescent PAR bulbs, a U-shaped reflector is used to maximize brightness and direct light through the front of the bulb in a narrow spot beam or wide flood beam pattern. 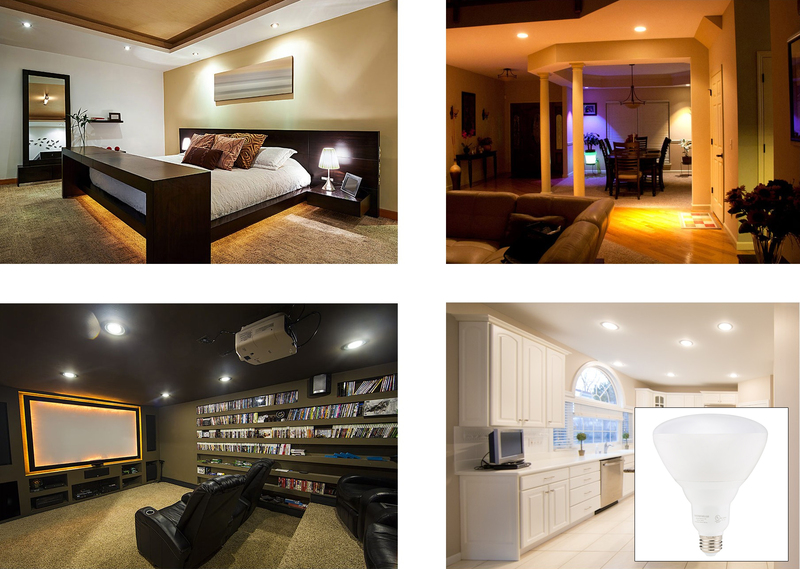 Oftentimes, LED PAR bulbs will not have a reflector but will still deliver the hard-edged lighting (less of a gradual fade than BR bulbs) that is typical of incandescent PAR bulbs. 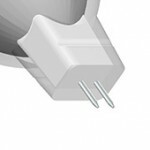 These bulbs have a shorter body than BR bulbs and usually install flush with ceilings or fixtures, which reduces glare. They’re commonly found in outdoor emergency light, spot light, or floodlight fixtures but can also be used indoors for track lights, recessed lights, display lights, or can lights. 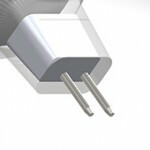 PAR36 bulbs are sometimes referred to as aluminized reflector (AR111) bulbs. They’re shaped differently than other PAR bulbs in that they have a fairly low-profile body. 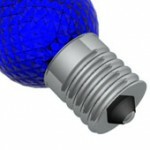 The insides of these bulbs are coated in a reflector material or consist of faceted reflectors. 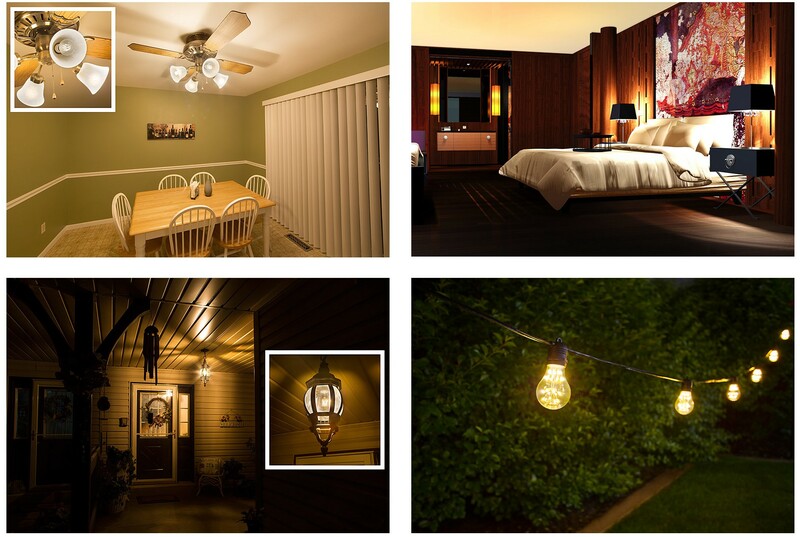 LED bulbs don’t require the reflectors but often use them anyway. 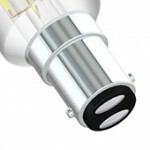 Similarly to other PAR bulbs, they emit focused, hard-edged lighting in a spot or flood beam pattern. These bulbs run on low-voltage AC/DC wiring systems and are great for outdoor and landscape lighting applications such as architectural lights, driveway lights, path lights, gazebo lights, and paver lights that have weatherproof housings. Numbers in each code refer to the bulb’s diameter in one-eighths of an inch. The numbers after “AR” refer to the bulb’s diameter in millimeters. 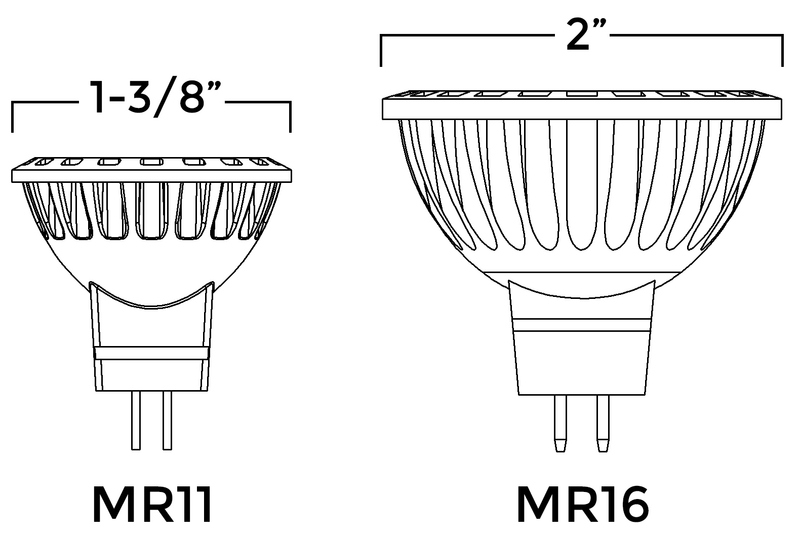 Multifaceted reflector (MR) bulbs are small in size with a reflective, faceted interior. The facets create a concentrated beam of light that can be displayed in a narrow spot or wide flood beam pattern. Because of the directional light they provide, MR LED bulbs don’t require the facets but often still have them. These bulbs are available in a variety of colors and can be used for many applications, including track lighting, recessed lighting, desk lights, and display case lighting. 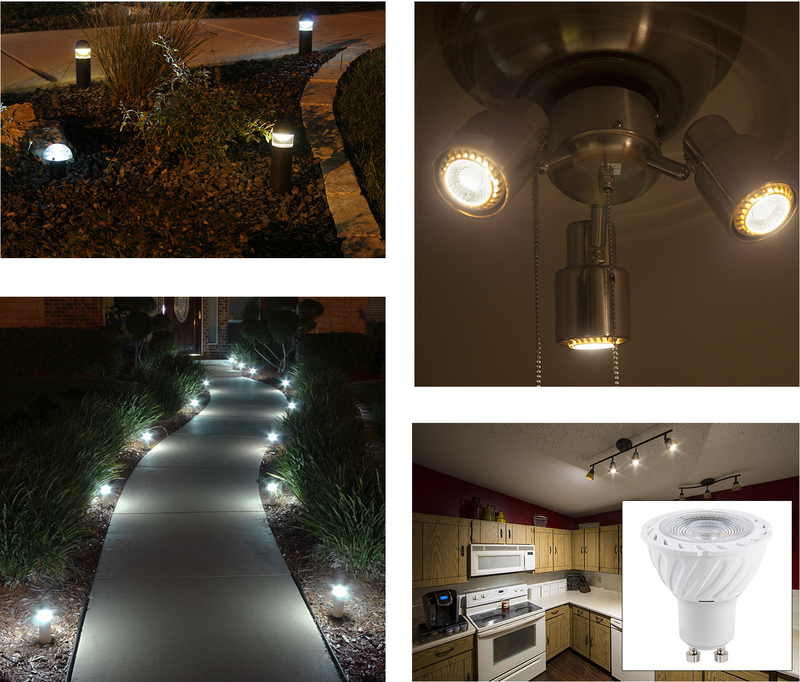 Many MR bulbs operate on low-voltage wiring systems, which makes them great for outdoor and landscape applications such as driveway lights, path lights, gazebo lights, paver lights, and malibu lights that have weatherproof housings. 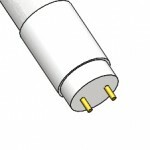 Tubular (T) bulbs come in a variety of lengths and widths. 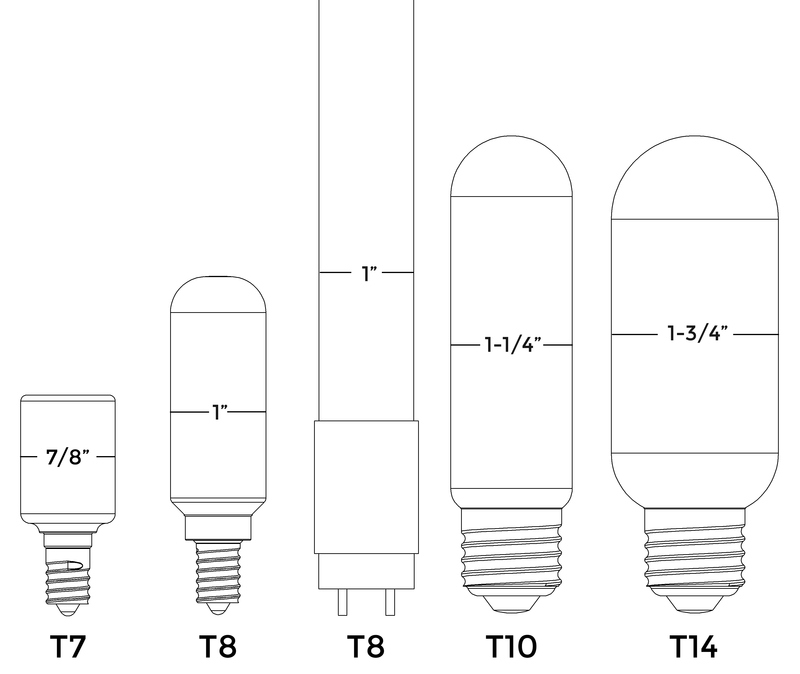 Depending on their size, these bulbs can be used in applications ranging from chandeliers, wall sconces, and pendant lights to basement and garage troffer light fixtures. Light Bulb Wattage Ratings: What Happens if You Exceed Them?